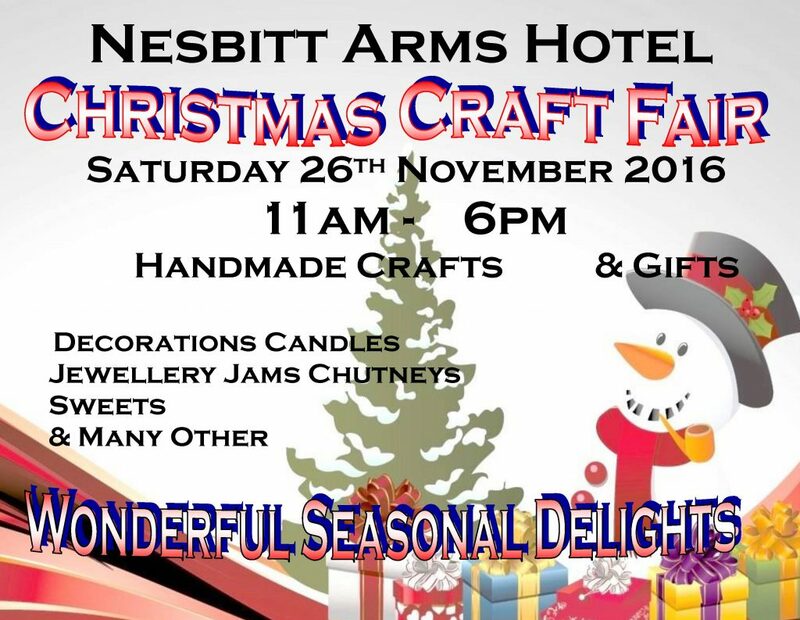 The third Christmas craft fair in The Nesbitt Arms Hotel will be taking place on Saturday 26th November 2016. So if you’re a confirmed shopaholic or have a complete phobia about shopping, this is the place for you. If you love shopping, it’s the chance to browse and enjoy the unique work from more than 30 craft people who will be taking part in the fair. But if shopping just isn’t your thing, think of it as a heaven sent opportunity to buy all your Christmas gifts locally in a single shopping session. The range is dazzling; everything from home-baking to handmade jewellery, Christmas decorations to hand weaving products, chocolates to painted pots and glass, natural beauty & cosmetic products, flower settings, candles, jams and woodcraft. A few tables are still available, and bookings are being taken by Clare Molloy on (087) 284 2012.